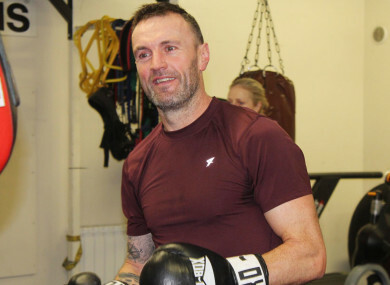 A MAN HAS been arrested by gardaí investigating a shooting at Bray Boxing Club. Bobby Messitt (50), an innocent bystander, was shot dead in the incident on 5 June. Two other people were injured, including boxing coach Pete Taylor. A man in his early 30s was arrested late last night and brought to Bray Garda Station, where he is currently being detained under Section 50 of the Criminal Justice Act 2007. Gardaí are investigating whether Taylor was the target of the shooting, and are still trying to establish a definitive motive for the attack. Email “Man arrested over fatal shooting at Bray Boxing Club ”. Feedback on “Man arrested over fatal shooting at Bray Boxing Club ”.